Le Beau Sancy: going, going, gone! And sadly gone out of sight too. 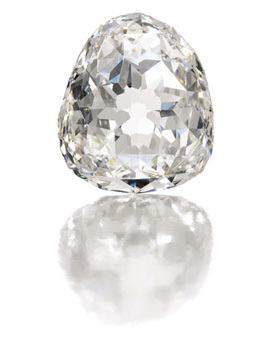 This week an anonymous bidder paid $9.7 million, several times the pre-auction estimate, for the historic stone, sold by Sotheby’s at its Magnificent Jewels and Noble Jewels auction in Geneva. Which means we will probably never see it again. A few decades ago, the Louvre purchased its almost namesake, the Sancy. So I was hoping this would happen again. But no… The two diamonds are named after the same adventurer, Nicolas Harlay de Sancy. I did not find any evidence that both diamonds came from the same rough (but would welcome information to that effect.) They were both part of the French crown jewels, albeit at different dates and under different circumstances. The Beau Sancy was purchased by King Henri IV as a gift for his second wife, Marie de Medicis. The Queen wore it as a finial to her crown during her coronation, as seen in this portrait by Frans Pourbus the Younger. An event that took place one day before the beloved King’s assassination. 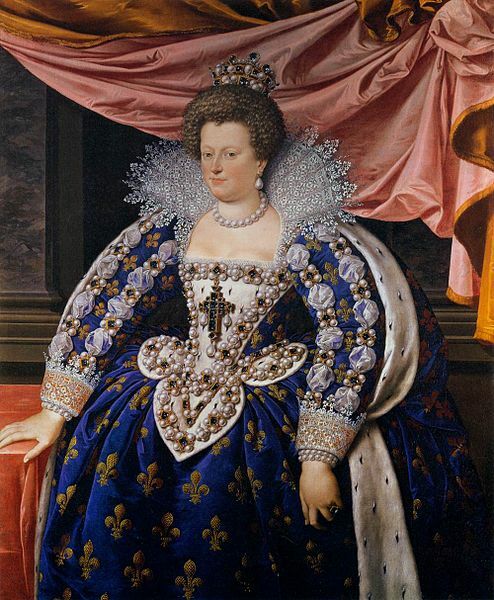 After Queen Marie’s drawn-out battle for power with her son, Louis XIII, her exile and dire financial difficulties, she sold the exceptional stone, which then passed successively to the Dutch, English and Prussian reigning families. So indeed I would have loved for it to join its larger brother in the Galerie d’Apollon in the Louvre, or failing that, to be displayed for all to see in a museum.